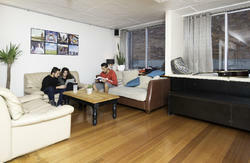 Discovery Melbourne is a large backpackers conveniently located in Melbourneâ€™s CBD. 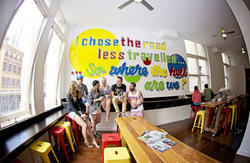 Close to cafÃ©-filled laneways, cool bars, markets and spacious parks, itâ€™s a hostel in the city that never sits still. We cater for every pocket with 4, 6, & 8 bed dorms, and 10-16 bed options for even the tightest budget. 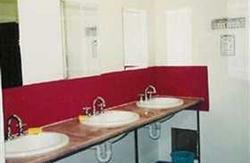 All rooms have shared bathroom facilities, heating and linen. For those wanting a little privacy we also have no-frills private double, twin & family rooms all with ensuites. We have free breakfast, free airport pickup (if staying 3 or more nights), lockers in dorms and reception, 24 hour reception, huge shared kitchen, and Wi-fi available throughout the whole building. The Velvet Underground Bar offers drink specials every day, and the Discovery Cafe serves real Melbourne coffee, all day brekkie, delicious handmade pizza and more! 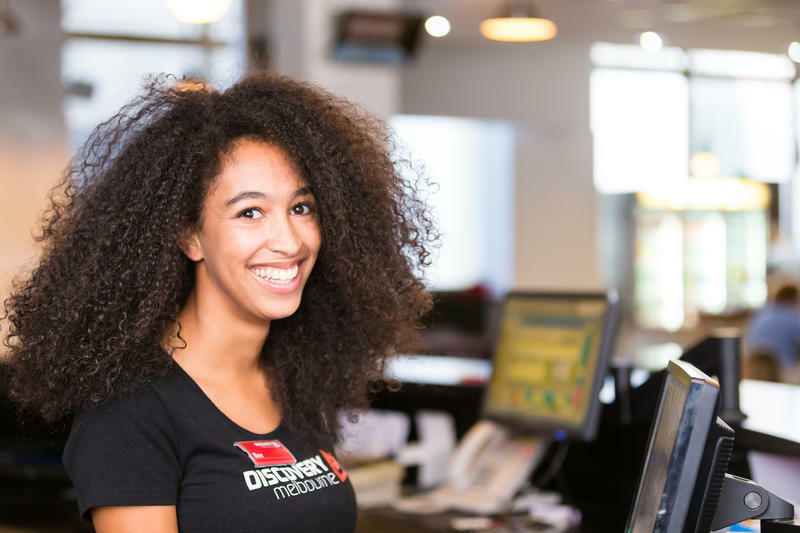 Discovery provides the biggest rooftop in Melbourne, decked out with BBQâ€™s and sun loungers, and hosts regular events â€“ the best way to meet other travellers. Events include city walking tours, markets and beach tours, free wine & cheese nights, games nights, and beer olympics. Why not also make use of our beanbag cinema, onsite Job Agency, onsite Travel Agency, 24/7 security, ATM on location, and local staff with the inside scoop on things to do in Melbourne and Victoria! We offer a FREE airport pick up from Tullamarine for guests who stay 3 or more consecutive nights. This service is only valid with STARBUS which operates between 6am - 6pm daily. It departs from Bus Zone 5 (out the front of the Qantas Domestic terminal) approximately every 30 minutes and will drop you off at our door. We recommend you book the day before or before by calling (03) 8378 8700. Tickets are $13 per person however if you stay 3 or more nights this will be refunded on check-in upon giving us the receipt. Skybus operates between Tullamarine Airport and Southern Cross Station in the CBD and departs every 15 minutes 24/7. Tickets are $17 per person and bookings are not required. Depending on traffic a taxi will take anywhere between 25-50 minutes and cost approximately between $50 -$65. Jump on the tram out the front of the station on Spencer Street heading north. Get off at the corner of Queen St and LaTrobe St then walk up one block and turn right on Franklin St. We are number 167 Franklin St. The quickest and easiest way and will set you back approximately $7 - $10 depending on traffic and will take about 5 minutes. The Sunbus meets every flight to Avalon and costs around $20 per person.